This article is another one of those “boy meets Peruvian hiking guide, Peruvian hiking guide introduces boy to magical purple corn tea, boy’s life is changed forever” stories. I joke because this story is far from typical. It is a story of life transformation and the desire to share an incredible experience with others. My friend, Randy Leprevost (you remember him from TOPUCU), told me about Ryan Florio’s Cleveland, Ohio based company, Inca Tea, and thought it might make for a good article. Not only does it make a good article, but it also has inspired me to work harder, believe my intuition, and find creative ways to share my messages with more people. Three buddies, Ryan, Zach, and Phil, took on a 10-day hiking trip through the Andes Mountains in Peru. Physically and mentally challenged along the way, their hiking guide introduced them to a rejuvenating beverage to help with the long journey. Their guide prepared a tea made of purple corn and apple pieces. This tea was not only delicious and hydrating, but it provided strength, endurance, and mental clarity. Some might call it magic. “I couldn’t stop thinking about it the rest of the trip,” remembers Ryan. What’s in this magic tea? The main ingredient in the tea is purple corn. Purple corn was a staple of Incan society way back in the day and continues to be prominent crop in modern day Peru. Considered a “superfood,” purple corn contains antioxidants, which are useful for cell maintenance, and anthocynanins, which are flavonoids (nutrients in plants that produce pigment) that help with inflammation and circulation. Studies on purple corn astound researchers and health experts, but the real proof is in the pudding (or in this case, tea). Why start a tea business? Not only does hiking and camping through the Andes mountains for 10 days change a person, but the lingering feelings from the magic tea inspired Ryan to share his experience with the rest of the world. Not all of us trek through 28 degree weather at 16,000 feet elevation, but we definitely all face our own personal challenges each and every day. We all could use a bit of magic from time to time to restore our mental and physical health. That’s what Inca Tea is all about. And they do so in a socially and environmentally responsible way. The packaging is made from 100% recycled material, and the tea bags are 100% biodegradable. All teas are certified Fair Trade, Ethical Tea Partnership, Rain Forest Alliance, and Non-GMO. Proceeds help support the American Heart Association’s Go Red For Women campaign. Ryan’s company is certainly an environmentally and socially conscious powerhouse. During our phone conversation, there was still a lingering question in my mind that I just had to ask Ryan directly. Will the purple corn movement in the States exploit the crop and have negative impacts on populations in Peru? Purchasing purple corn from other countries supports international economies. However, once the word spreads, demand will rise. And it will rise quickly. Similar to the quinoa conundrum (where the demand for quinoa in wealthier nations has caused the availability of the crop to decrease and price to increase for the producing populations), I asked Ryan how the purple corn movement will affect the Peruvian community. And he told me some great news. The U.S. has taken great interest in purple corn and has learned to grow and harvest purple corn that matches the quality and nutritional content of that grown in Peru. In other words, the purple corn movement in the U.S. will soon be home grown. Ryan’s Original blend, Peruvian Spiced Berry, contains Peruvian corn because that’s how the original recipe was made; but his future products will surely contain American purple corn. While speaking with Ryan, it became very clear how passionate he is about his tea and how motivated he is to share it with the world. And this guy seriously doesn’t sleep. It’s like he’s a perpetual biofuel engine that runs on purple corn. Ryan’s enthusiasm is contagious. I knew this before I even talked to him. Earlier in January, I was about to board a flight from Cleveland back to Honolulu when I saw a small coffee shop located just before my gate. At this point, I had heard of Inca Tea through my friend, Randy, but hadn’t started on the article. As I approached the cafe, I noticed the name, Inca Tea, and laughed in surprise. It was seriously fate, or maybe magic. Lisa behind the counter was so friendly and knowledgeable about the tea and recommended I try a Pick Me Up Peach – a delicious, refreshing taste that perked me up, yet soothed my nerves. I couldn’t wait to get in touch with Ryan to hear more about his story and mission. Check it out yourself at www.incatea.com. 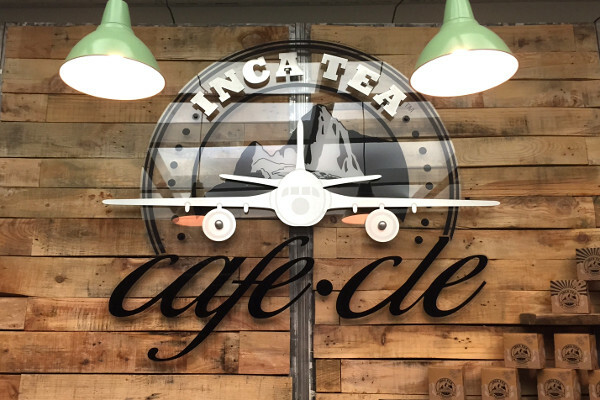 You can purchase Inca Tea online, at the Cleveland Hopkins Airport, or a variety of grocery stores and restaurants around the country. Or, like Ryan and me, perhaps the magic tea will cross your path unexpectedly and transform your life for the better. 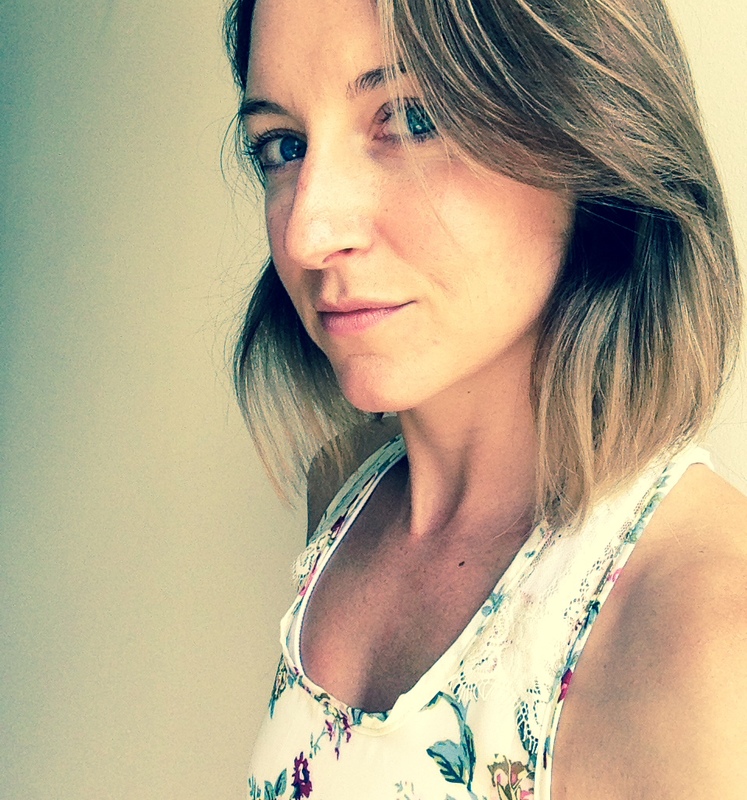 As always, dear Rachael, an great article chock full of inspiration, information, and enthusiasm! This may make a tea drinker out of me yet!